Professor Judith Ellis and Dr Alison Leary of the Faculty of Health and Social Care at LSBU were given a coveted place among the top 50 nursing leaders. Each of the individuals chosen has demonstrated strength across five key areas: leadership, influence across healthcare, impact on practice and care, acting as a good role model and legacy of their achievements. 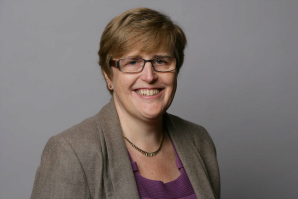 Professor Judith Ellis MBE currently holds the position of Executive Dean of the Faculty of Health and Social Care and has been with us at LSBU since 2010. Under Judith's lead LSBU continues to be one of the leading providers for training and education of health care professionals in London. Judith started her career in nursing at St Thomas' Hospital in London, after a number of years working on various children's wards she moved into management and education positions within the NHS and worked as the nursing link for the quality team at the Department of Health. By 2002, Judith was the Director of Nursing, Education and Workforce Development at Great Ormond Street Hospital for Children, where she stayed for eight years. In addition, Judith has been a member of the Nursing and Midwifery Council for five years and has held posts as the Interim and Deputy Chair. She also continues to be a member of a number of national health and nursing policy advisory groups. She is also the Chair of Help 4 Hurting Children, a charity that organise UK training teams to provide in country education of the paediatric interdisciplinary team in Mulago National Hospital, Uganda as well as being actively involved in other supportive and fundraising activities. Judith – who was awarded an MBE in 1998 for services to Paediatrics – said on receiving the award: "I will always be proud to be a nurse and believe that nurses do and must play a leading role in achieving high quality care for patients. It is a great honour to be recognised in this way and indeed receiving such an accolade alongside such great colleagues provides me with the encouragement to keep working to continuously improve health service delivery and patient outcomes at a time of great change and challenge." Dr Alison Leary is Reader in Advanced Practice at LSBU. Her work involves using mathematical modelling to map the complexity of patient safety and the contribution of specialist and advanced practice nurses. Alison started her career in science in the 1980's and in 1996 became a registered nurse. She holds a variety of academic and professional qualifications including a PhD in Clinical Medicine. Alison also provides research consultancy and analysis for a number of national and international clients, charities and organisations. She has held a number of leadership posts within the profession and in particular in oncology. Alison is also an experienced non-executive director in the charitable sector. Her book "Lung Cancer a multidisciplinary approach" was Europe's best selling lung cancer textbook in 2013. On receiving the award Alison said: "It's a tremendous honour to be included in such an amazing group of professionals. I have been very privileged to work with some wonderful people in the specialist and advanced practice community - and to see the real benefits they bring to patients. I am fortunate that I can do something about which I feel passionate." Jenni Middleton, Editor of the Nursing Times, said "The work if these nurse leaders has shaped practice, the profession and most importantly of all, patient care. They have left a legacy that they can be proud of and we are delighted to honour them in this inaugural Nursing Times Leaders list."